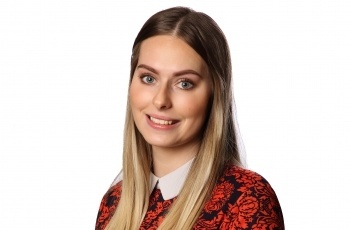 Jordan joined the firm as a Client Relations Assistant in June 2016 after working at Aviva as a Customer Service Representative for 5 years, during this time Jordan was often a client's first point of contact within the firm and prides herself on delivering high quality service. Jordan is currently training to become a Chartered Legal Executive having started her studies in July 2016. So far she has completed the Level 3 Professional Diploma in Law and Practice, achieving distinctions in all her exams. Jordan works as a Trainee Legal Executive in the Wills, Trusts and Probate Department assisting Lin Whitehead after completing her first seat in Conveyancing assisting Erin Southgate. In her free time Jordan enjoys taking part in pub quizzes, spending time with family and friends, and cooking. "I must say it has been a pleasure to do business with you and I am very grateful to you for all your patience, courtesy and help over the last eleven months." Client thank you, April 2019. Excellent professional service. Efficent and well organised.